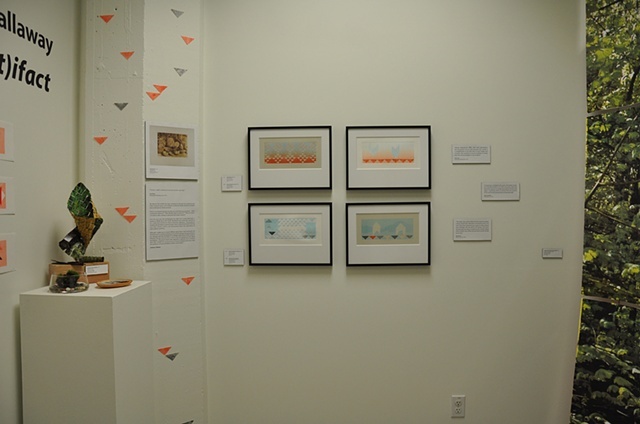 Installation from BFA Thesis project which looked at how to create spaces for cultural interpretation of Native artwork, using my own prints as source material. Detail view of corner pedestal with study model and framed prints. Forest photograph on interior of paper wall can also be seen at right.